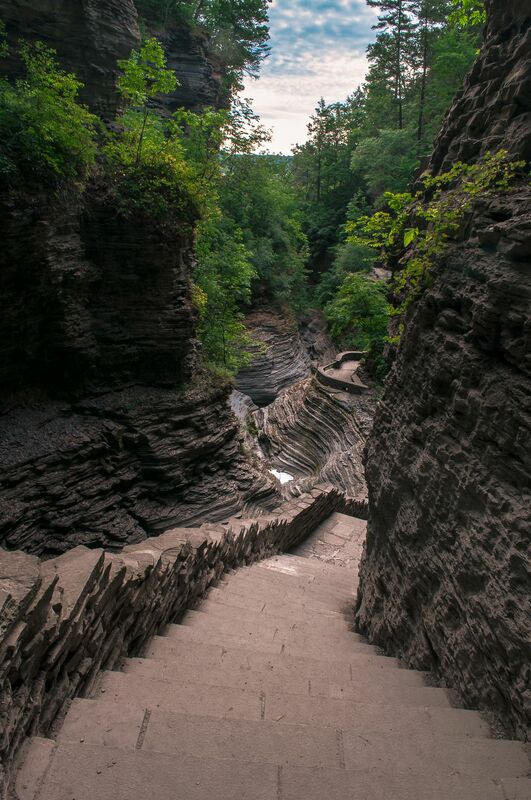 Watkins Glen State Park is located outside the village of Watkins Glen, south of Seneca Lake in Schuyler County in New York's Finger Lakes region. The park's lower part is near the village, while the upper part is open woodland. It was opened to the public in 1863 and was privately run as a tourist resort until 1906, when it was purchased by New York State. Date Uploaded: Sept. 14, 2016, 12:16 p.m.